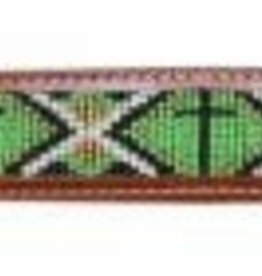 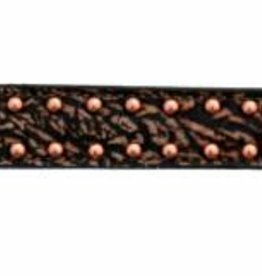 Showman® Teal and brown Navajo diamond print wither strap. 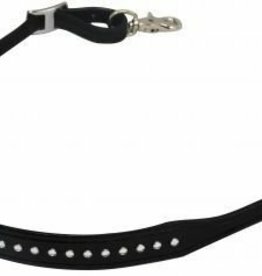 Easily attach to any breast collar D-ring with scissor snaps on both ends. 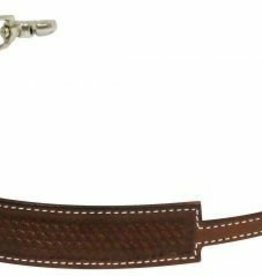 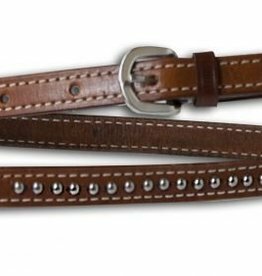 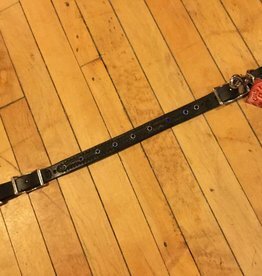 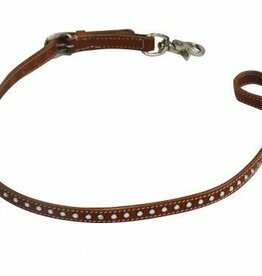 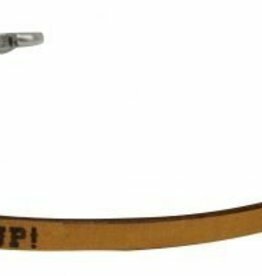 Nickel plated buckles on both ends makes this strap easy to adjust from 20" to 27". 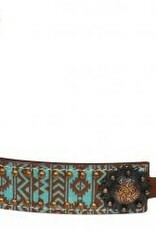 Navajo print center is 1.25" wide and is accented with engraved antique bronze conchos.